An accident happens without warning. A motor vehicle accident, a slip and fall on a floor in a hotel, a mistake by a health care professional, or a defective product that catches fire may cause permanent and disfiguring physical injuries. These injuries can stop you from earning a living, taking care of your family, driving a car, and living the lifestyle you enjoyed previously. If you suffered a personal injury that somebody else caused, you may be eligible to receive compensation for your injuries and personal losses. Call the Law Firm of Anidjar & Levine for help. Our attorneys have years of experience getting compensation for victims who have seen their lives devastated by a traumatic event. To schedule a free case evaluation with a personal injury lawyer in Port St. Lucie, call us today at 800-747-3733. If you suffered an injury after an accident that someone else caused, you may be able to file a claim. Our attorneys can look at the details of your case and determine if a personal injury claim is appropriate for your situation. When we prepare a new claim for a client, one of our first steps is to identify the defendant, or the party responsible for your injury. For instance, if you suffered a serious brain injury due to a slip and fall at a franchise store in a large mall, we evaluate the liability of the franchise owner, the corporate owner, as well as the mall owner, all of whom may have played a part in causing your injury. Security cameras operating at the scene of your accident. We may use other evidence, if necessary, to establish how the accident happened. Understanding the way your injury occurred can help us establish negligence for your case. Why is determining negligence necessary? Florida law mandates that claimants establish negligence in personal injury cases. To do this, we must establish certain legal elements to hold the defendant liable for the accident. First, we prove the defendant has a responsibility to avoid causing an injury. This is a duty of care. Next, we show the defendant acted negligently by failing to show this level of care and your injury occurred as a result. Lastly, we show you suffered physical and financial damages as a result of the defendant’s negligence and resulting accident. Any cost directly related to the injury. If the defendant claims you contributed to your own injury, we will investigate the claim and challenge it. However, you can still receive compensation even if you were partially at fault for the accident that caused your injury. Florida has a pure comparative fault standard, which means you can still recover compensation even if you were partially at fault for the accident. However, the amount of your economic and non-economic compensation will decrease based on your percentage of fault. That is, if your damages total $50,000 and you were 20% at fault, you will collect only 80% of your damages, or $40,000. Thus, fighting allegations of comparative fault is vital to ensure you collect fair compensation for all your damages. 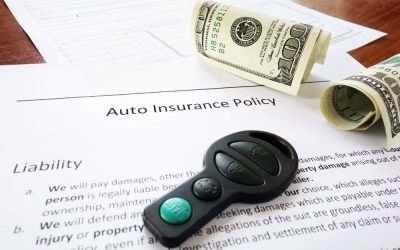 Our lawyers will deal directly with the insurance company while you recover. More often than not, personal injury cases involve a defendant’s insurance company, which will conduct its own investigation of your claim. As your representation, we will speak directly to the insurer or any other investigators on your behalf. If you are in the hospital or even at home recovering, you can trust that we are protecting your legal rights as you heal. In the event the defendant, an insurance company, or any other entity has questions for you regarding your injury, we can advise you on how to respond in a way that does not damage your claim for compensation. We build your case, correspond with the insurer, and field settlement offers, all while maintaining communication with you via updates and consultations. If the insurer fails to offer a fair settlement, we will work to negotiate an amount that covers all of your damages. If negotiations fail or if the insurance company outright denies your claim, we can take your case to court. We will continue to represent you throughout the court proceedings until you receive the compensation you deserve. Florida’s statute of limitations allows you to file a lawsuit four years from the date of the accident. Nonetheless, it is important for you to speak with our personal injury lawyers as soon as possible so you do not miss the opportunity to secure necessary evidence we need to build your case. The Law Firm of Anidjar & Levine is not afraid to take on large corporations and insurance companies so our clients can seek justice for their injuries. We offer no-obligation, complimentary legal consultations. Call us today at 800-747-3733 to schedule your free case evaluation. How Much Is Pain and Suffering Worth in Car Accident?